It was a crowning moment for Master of Science student Toh Wai Keat, who won the first prize in a poster competition in Molecular Biology. His winning poster was titled “Suppression of Plant Immunity and Enhanced Plant Transformation using Agrobacterium Virulence System”. 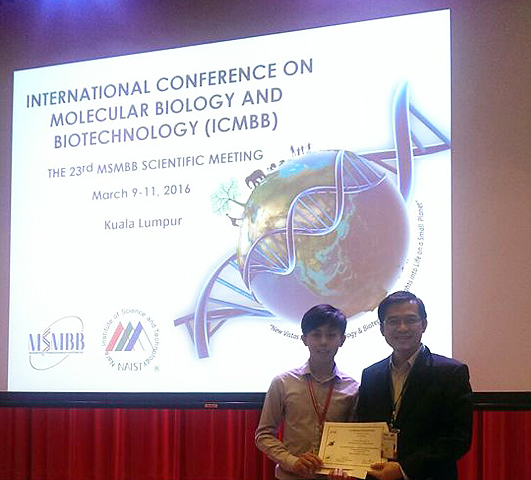 The competition, which took place at the International Conference on Molecular Biology and Biotechnology (ICMBB), in conjunction with the 23rd MSMBB Scientific Meeting, was organised by Malaysian Society of Molecular Biology and Biotechnology and Nara Institute of Science and Technology. The event took place from 9 to 11 March 2016, at Connexion@Nexus, Kuala Lumpur. Toh also walked away with a certificate, RM300 cash prize, and a gift voucher for DePiPRO worth RM488. “One of the reasons the panel was attracted to my poster was due to the outcome of this project having an impact in increasing plant production both in quality and quantity. 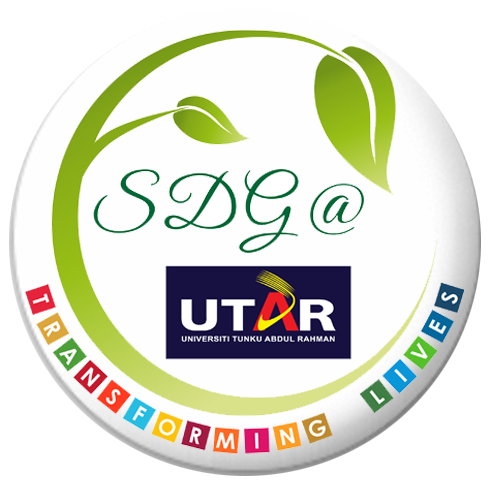 Also, I would like to thank my supervisors for advising me in presenting my finding in a scientific way,” enthused Toh. The Faculty of Science postgraduate student also expressed his gratitude to UTAR for providing a strong educational foundation which has brought him success in his research field. “I would also like to thank ICMBB for giving me a chance to present my project, and also to the judges for acknowledging my work. Special thanks goes to my supervisor Dr Wong Hann Ling, co-supervisor Dr Loh Pek Chin, external co-supervisor Dr Ho Chai Ling, and all my lab members for their guidance and support,” he continued. Citing from his research, Toh mentioned that the development of the novel Agrobacterium type IV protein enabled a novel anti-apoptotic chimeric protein to be delivered to plants, thus improving the efficacy of plant transformation, by temporarily suppressing the plant’s basal immune response.